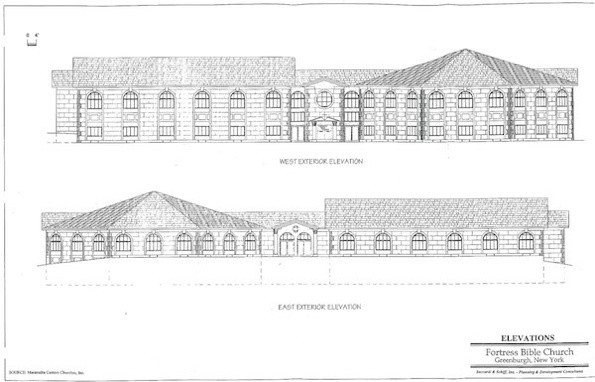 In 1999, the Town Board of Greenburgh, located in Westchester County, New York, reviewed an application of the Fortress Bible Church to build a church and school on land that it owned within the Town borders. After review by the Town Board, the Board rejected the application, claiming that there were safety concerns regarding inadequate stopping distance from the main road to the Church entrance, as well as general safety issues related to traffic entering and exiting the Church site. After this refusal, the Church filed a lawsuit in the United States District Court for the Southern District of New York. The case went to trial, and witnesses on all sides were heard by Judge Stephen C. Robinson. The Church alleged that the Town’s refusal to grant a building permit violated the Religious Land Use and Institutionalized Persons Act, as well as the First Amendment, the Equal Protection Clause, and New York constitutional and statutory law. Readers of this blog may ask what is the Religious Land Use and Institutionalized Persons Act. We will refer to this Federal Law by its acronym, RLUIPA. In short, RLUIPA’s main thrust is to protect religious organizations from government discrimination in zoning decisions. It states that no government shall impose or implement a land use regulation in a manner that imposes a substantial burden on the religious exercise of a person, including a religious assembly or institution, unless the government can demonstrate that the imposition of the burden is in further of a compelling government interest and is the least restrictive means of furthering that interest. [link to text of law]. What this means in plain English is that when a governmental body, which includes a Town Board, makes a zoning decision relating to a religious institution, it has the burden of proving, if challenged in Court, that its decision was not discriminatory against the religious institution, and was based on a compelling interest of the government. This is not an easy burden of proof. RLUIPA shifts the burden of proof to the government to show that its decision was based on a compelling interest, and not related to the religious institution. In the Fortress Bible Church case, the Town completely failed to meet this burden of proof. The trial court found that the Town Board had acted in bad faith by using safety concerns as a pretext for denying the Church’s application. Examples were given by the Court of the Town’s illegitimate use of the zoning process to block the Church’s construction, including the fact that the Town Supervisor had challenged the Church’s tax exempt status and requested a donation of a fire engine from the Church. It further concluded that the Town had substantially burdened the Church by preventing it from building and moving to a new facility, resulting in a violation of RLUIPA. It ordered the Town to allow construction to proceed, and also awarded the Church compensatory damages, the amount of which would be determined a future hearing. The Town then spent even more taxpayer funds in appealing the decision, which was subsequently confirmed by the United States Court of Appeals for the Second Circuit. Finally, after losing the appeal, the Town settled the case and agreed to pay the Church $6,500,000.00 from taxpayer funds. The Greenburgh Town Supervisor has called for the RLUIPA Act to be amended. However, this does not seem likely and would have no impact on the Fortress Bible case. The RLUIPA Act is the law of the land in the United States, and protects both individuals and religious institutions from arbitrary actions of the government in zoning decisions. A government agency, such as a town board, that denies the application of a religious organization to build a new church, synagogue, or mosque may well find themselves in Federal Court, having to prove that its decision furthered a compelling governmental interest and was not due to bias against the institution. Weiss & Weiss represents many religious institutions and welcomes inquiries from any organizations who believe that their rights in this area may have been violated.